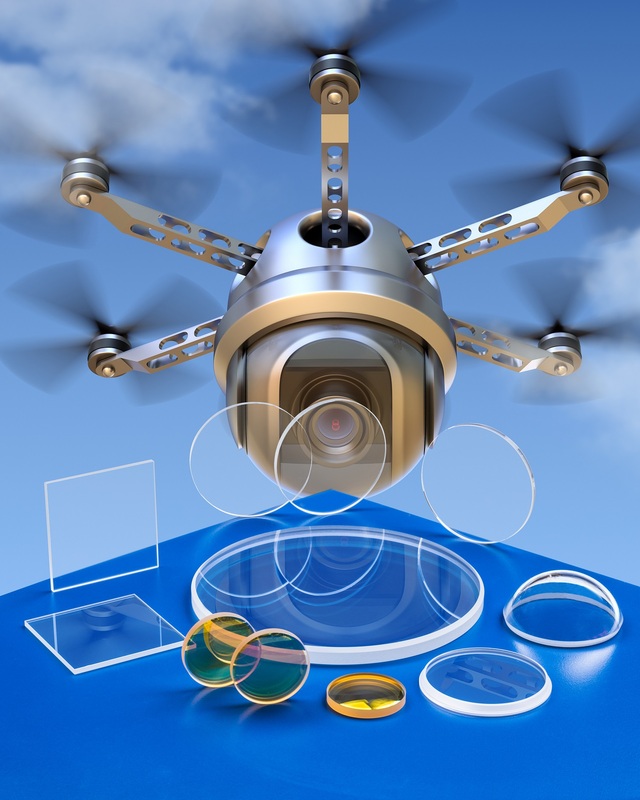 Custom fabricated UAV sapphire optics that provide greater durability and scratch resistance from sand, dirt, and hard landings than germanium, are clear as glass, and transmit from the visible through near IR have been introduced by Meller Optics, Inc. of Providence, Rhode Island. Meller UAV Sapphire Optics feature Moh 9 hardness which is second only to diamond, are clear as glass, and transmit from 270 nm to 4.7 microns. Ideally suited for use as outboard protective optics for imaging sensors, they can be custom fabricated as lenses, windows, and domes and incorporate mounting features to help assure their ability to withstand hard landings. Available from 0.25” to 10” dia. with varying wall thicknesses, Meller UAV Sapphire Optics can incorporate stepped edges and elliptical edge shaping, holes, slots, and wedges for mounting. Flatness can be held to 1/10th wave in the visible and < 2 arc sec. in/in parallelism, with surface finishes from 60-40 to 40-20 scratch-dig. Meller UAV Sapphire Optics are priced according to configuration and quantity. Price quotations are available upon request.